Kosovo Manufacturing Club (KMC) is a not-for-profit organization established in November 2015 with three main objectives: to advocate for policy change on behalf of the local producers, to increase the cooperation between local producers and other stakeholders and finally to raise awareness and promote local products Made in Kosova. KMC is working with its partners on creating structured program for skills development to give young people the tools and skills they need to find a job. The youth is one of the greatest strength of Kosovar economy, taking into account that they make the majority of population. Most of the reports and studies available indicate that the majority of the young remains inactive, and those actively seeking for job in the market are faced with daunting challenges. This situation requires an structured approach in promoting youth participation in the labor market by ensuring that they have the skills they need to success and by fostering the creation of suitable job. 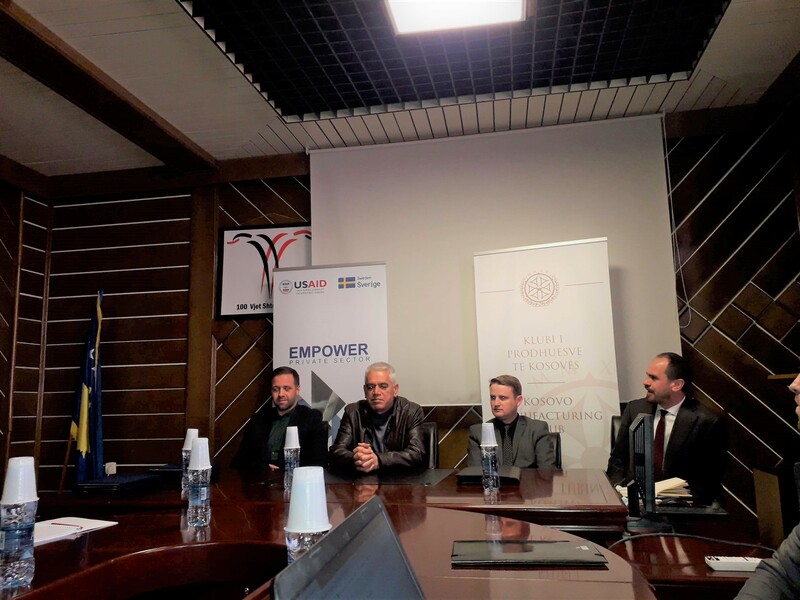 In order to be successful in today’s knowledge economy, Kosovar companies need to boost not only the skills of local people but also the utilization and deployment of these skills within companies. 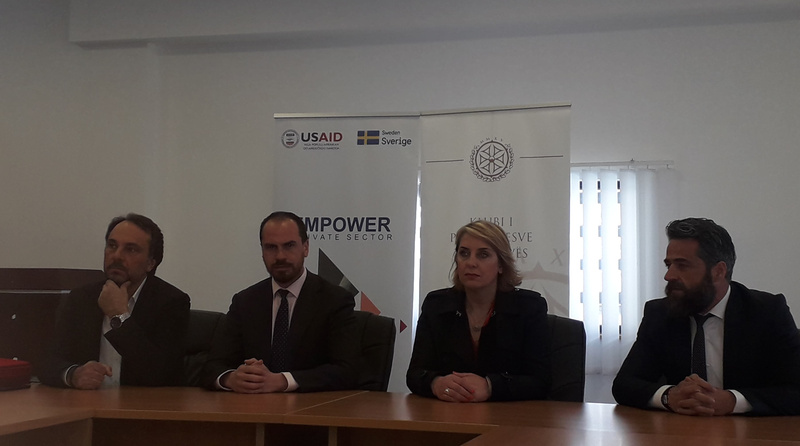 By ensuring that skills are utilized effectively, Kosovar companies can become more competitive and host better quality and better paid jobs, better quality product and stimulate innovation. With this in mind, KMC is planning to establish a Kosovar Centre for Manufacturing Excellence (KOCME). For the past five years, Government agenda has increasingly promoted the need to create a sustainable and prosperous manufacturing sector. KMC with its knowledge, services and network is planning to build a modern Centre for Manufacturing Excellence that will support the above mentioned agenda. Small and medium-sized businesses play a critical role in Kosovo’s economic development, accounting for majority of businesses and all jobs. Hence, the main objective of the KOCME will be to inject vitality into SMEs through specifically working to cater for the needs of companies in the field of Skill Development and Trainings, Research & Design, Manufacturing Competitiveness, and Global Best Practices. Also, it will help to create an environment where it will promote management innovation. 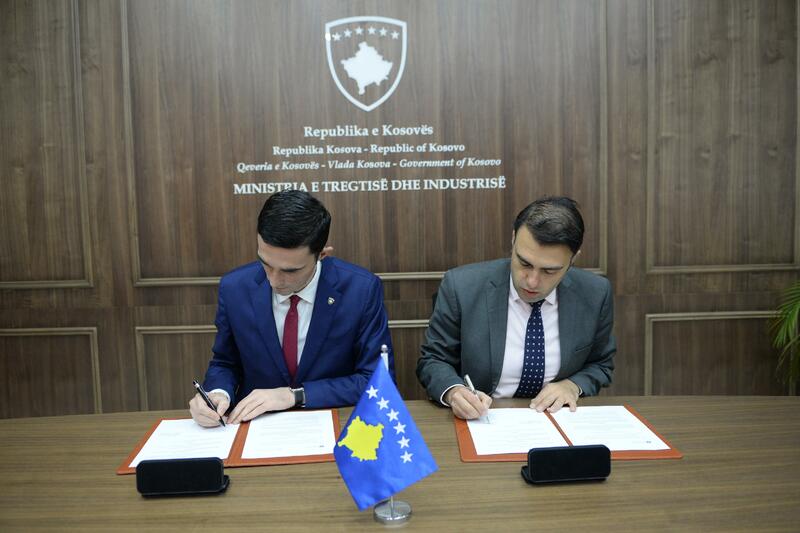 KOCME will play an important role in making Kosovo as a competitive location for investment, with a focus on attracting investors with export potential. KMC is working closely with partners for the establishment of the center. In this regard, KMC is seeking to engage a consultant company in order to develop the Project Proposal for KOCME that will include Business Plan. The general objective is to establish competitive modern Centre with all attendant facilities. To offer manufacturing companies a chances of accelerating growth alongside other business with similar ambitions. To promote the development of manufacturing sector and to be the catalyst for economic growth within Kosovo. To further incentives uses of modern approach in science, engineering and technology in the manufacturing sectors. To provide a range of high quality facilities that will provide support to SMEs, budding entrepreneurs and even international companies. To support companies in the process of designing and developing prototypes of the product, by offering local and international expertise. KOCME will be an inspirational environment for learning and business growth. KOCME will help companies find and employ local people, to up-skill and develop staff to their full potential and deliver the results they are aiming for. KOCME will provide the facilities to support the development of the skills and attitudes needed by young people entering the workplace to support company’s growth plans. The main sectors will be: food technology, mechatronic, metal processing, wood processing, textile and catering. KOCME will train the existing staff of the companies to increase productivity and as a result improve competitiveness. KOCME will support business managing through the challenges and opportunities of scaling up a business. To organize conferences, workshops and other activities that will raise the awareness about manufacturing sector. To build a center based on BUTGEM model in Turkey Bursa. KOCME will have exceptional facilities on a modern, world-class, business, skills and education campus. High specification classrooms and trainingaccommodation for training and education providers. Fully-equipped workshop facilitiesfor technical training, apprenticeships or adult learning. Innovation Centre to develop product prototypes. Business support servicesto accelerate the growth of start-ups and SME’s. Conference Centreand meeting rooms, event and exhibition space open to all. In-house expertise in coaching and mentoring of businesses on the campus. The following tasks, deliverables are proposed for this business plan as to be expected from the consultancy company. Building it from the scratch. Services Provided by the Centre. Budget for construction and development of the Centre. Budget for operating costs of the Centre. Develop marketing and promotion plans for attracting potential investors/donors to support KOCME. Develop financing models and funds mobilization strategies for the implementation of the project. Develop a strong management model that will implement the project. In order to achieve the objectives of the assignment, the consulting company will be expected to take complete responsibility for all the activities identified in this ToR. The Technical Proposal should contain inter alia; a complete description and explanation of the proposed methodology for the Assignment (work plan), time-line, staffing, names and qualifications of allocated personnel and any other resources available to execute the assignment and achieve the objective. The Financial Proposal should stipulate the fees for the assignment. The financial proposal for this contract is based on a global price. The Technical and Financial Proposals shall be evaluated by the KMC and its partners. The financial offer should be submitted without VAT as KMC is exempt from all taxes. Deadline for submission of technical and financial offer is on the 5th of October, 2018 at 16:00.